A border was to be crossed, “plan” was to ride into Czech Republic and continue north. Didn’t go as “planned”, possibly because the “plan” was non-existent. Left the hotel and Sankt Ulrich bei Steyr not too early in the morning. Past Steyr I took a eastern course, and got back on small-ways, with round rolling hills, fields and farms. For a moment I considered going more north and make a stop in Linz but dropped the thought. I usually try to avoid larger cities, with some exceptions. Small cities I don’t have a problem with, less if they’ve got something interesting to offer. The ride took me across hills, through forests, and more farmlands. 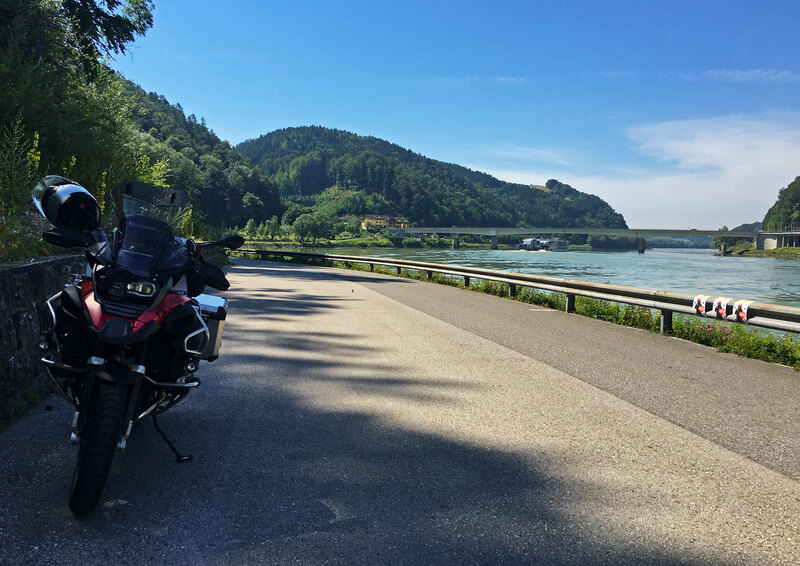 Came onto road 119 which led to Danube river, and a division line between Upper & Lower Austria. I left road 119 and followed small road along the riverside. A couple of miles up it departed from the riverbanks, zigzagged up a hillside and cut through a dense wood. Eventually it folded back in a circle that brought me onto 119 again, and finally across the river to Upper Austria. 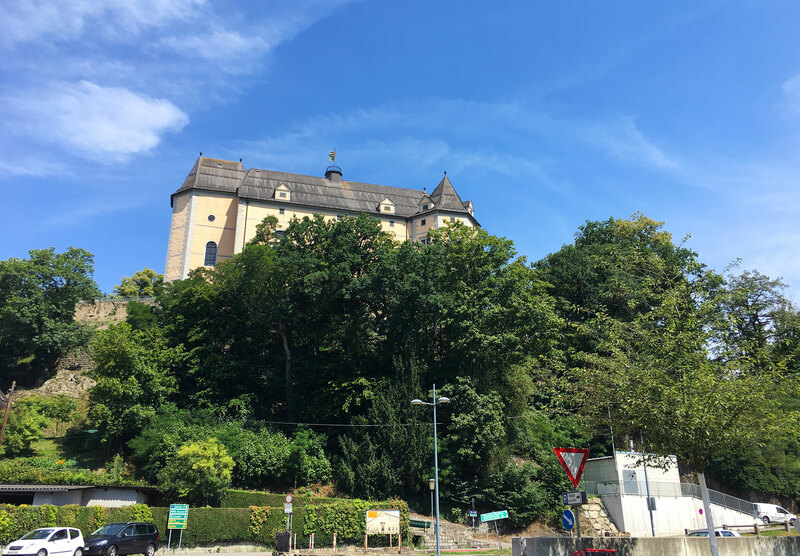 Stopped by Danube river in the little town Grein for a coffee and a bite, right across the road from Greinburg castle. Because I was still far from the border to Czech Republic, and it was already past midday dropped paying it a visit. I followed the 119 north from Grein, 45-50 minutes later through the corner of my eye noticed odd some looking installations on either side of the road. And people were walking in between them. What was this? I parked and went down to have a closer look. 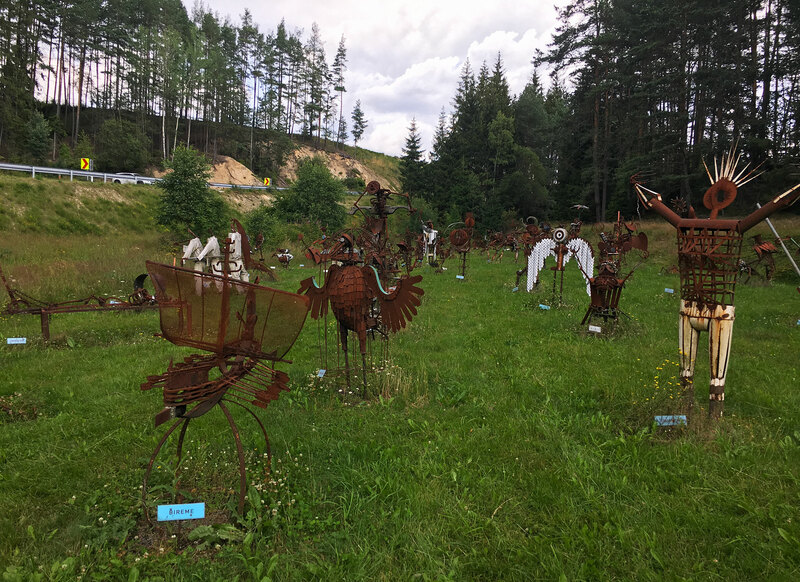 There were lots of sculptures made of rusty iron, bits and bobs, the likes I’ve never in my life seen before! In fact, a whole sculpture park’s worth of interesting stuff! You can read more about the artist and the park here. Rolling thunder and dark cloud south bore signs of a weather change if I stayed on longer. Would have liked to spend more time checking out sculptures but didn’t feel like doing it in pouring rain. It was time to be off and continue north towards the Czech Republic. Took quite a few pictures, will put them up on the gallery page later. I kept on along road 35 north without making more stops through Austria. Approaching the border I decided on a small road crossing, to make it a little bit more interesting. 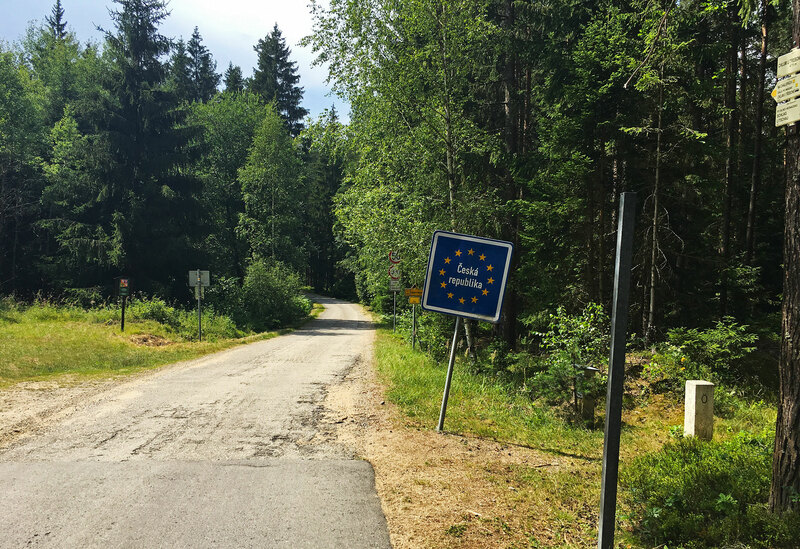 in Heidenreichstein I followed road 63 to Eggern, then turned west directly towards a smaller border crossing. 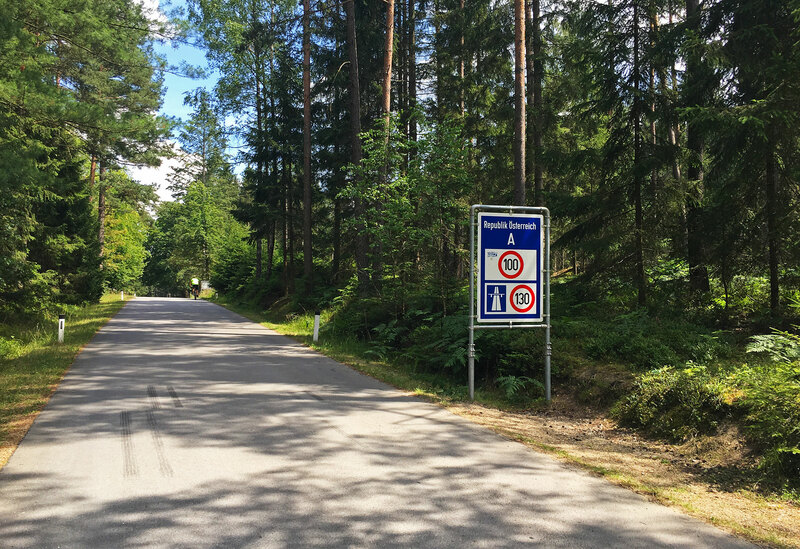 Farewell to Austria, a different tarmac and road sign! Glad I chose the slightly obscure border crossing variant. Neither the first or the last time to snuck past a border this way. The first leg of the road into Czech Republic was kinda cool. Then I saw lots of cars parked roadside, still in the thick of the woods. The further in, the more cars and people, to the point of congestion. What the heck? On a Thursday afternoon? Turned out later my choice of crossing had taken place on Saints Cyril and Methodius Day, an official bank holiday in Czech Republic. Hmm, well got past the first wave of cars and people and continued on. The traffic didn’t vane much until I was, literally speaking, out of the woods. It was still too early to start thinking about where the land for the night or evening. But a bank holiday with lots of people on the move could potentially mean difficulties finding places to stay, on short notice. I abandoned the thought for a few hours and continued north, across rolling farmlands and woods. Later I came to discover that July 6th, the Jan Hus day, also is a bank holiday in the Czech Republic. So I could be in for a bit of trouble, all depending. I continued west on road 157. The direction had been decided before entering the country. 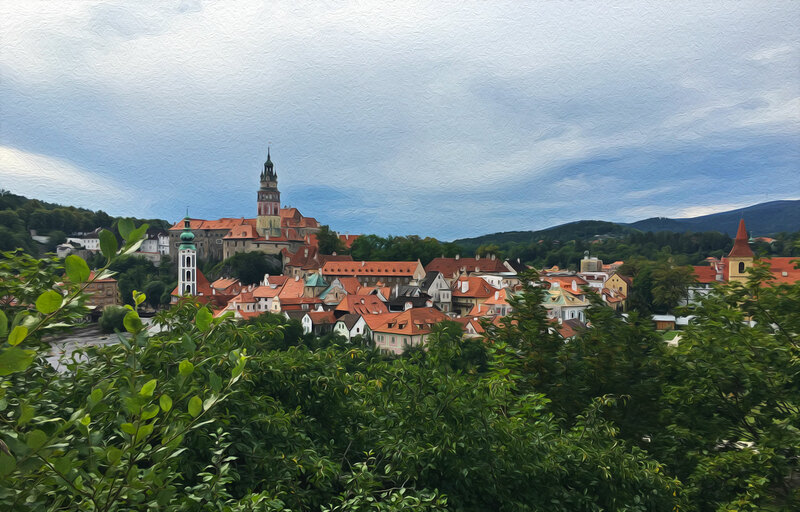 Reason being a desire to see the old city Český Krumlov. Turned out not to be so fun as expected, reason being traffic, and traffic routing. The old city Český Krumlov, worth a visit but not on motorcycle! I’d done some research on accommodation, found a few good options, but decided to postpone booking. Turned out to be a good choice. The road system into and around the town was, plainly put, a nightmare. My GPS did not cope well with the situation. Time and time again I hit on a dead end, or found roads blocked. After trying to find a way in for an hour I gave up. The only choice was to leave the motorcycle at the edge of the old town. Then walk to the hotel with all the luggage. In their eagerness to make the old town free of traffic, they’d forgotten about motorcycle riders. Riding alone I don’t like to park the motorcycle ar far off the/a hotel. Ideally I prefer parking in a garage or backyard, out of sight, offering some degree of security. 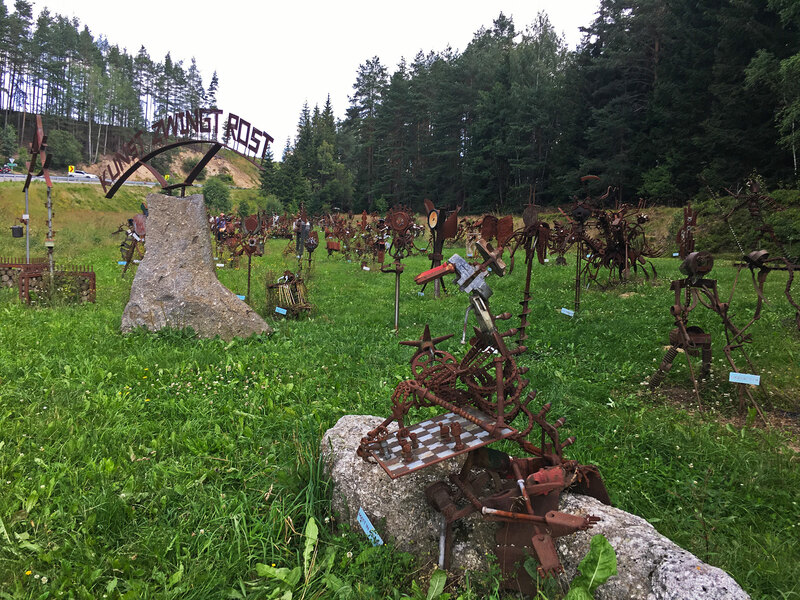 Grumpily I left Český Krumlov behind and continued southwest along road 39 to the Lipno Dam. In town and around the lake the situation was even worse, packed with people and cars. Asked a few places about vacancies, all were fully booked. Went south along the shores but quickly turned around. No vacancies, checked the GPS plus booking apps. What now seemed the best alternative was to leave Czech Bohemia and go back to Austria. 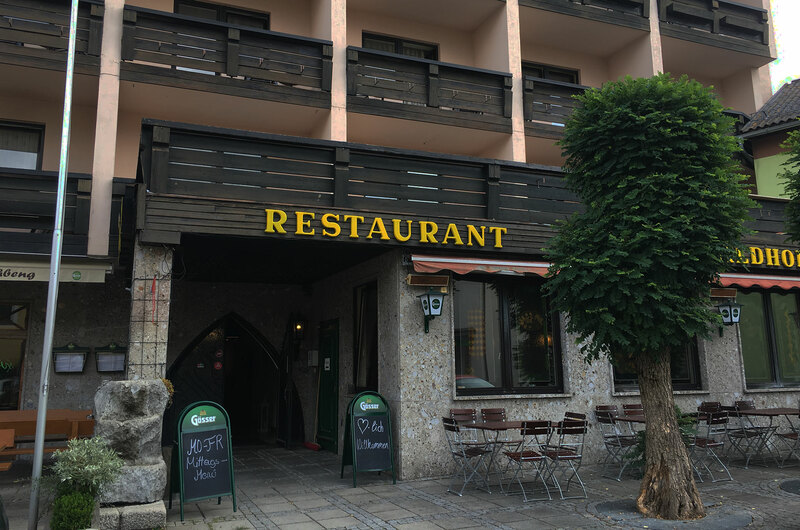 I booked hotel Hotel Böhmerwaldhof in Ulrichsberg, not far from the border. Good value for money and nice reviews. North I found a little ferry crossing across the lake, then rode small-ways style in direction of my destination. Turned out Hotel Böhmerwaldhof was excellent. 46 Euro for a nice spacious room, with breakfast, was considerably cheaper than in Czech Republic. 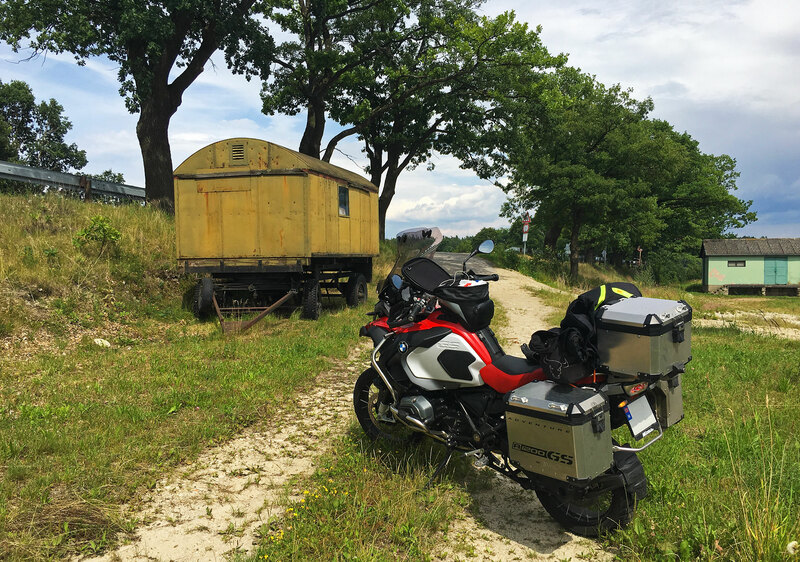 I’d also landed on a biker friendly hotel with a locked garage for motorcycles! I can recommend this hotel to anyone (and motorcycle riders in particular) passing through the region. Installed, a quick shower later I settled by a table outside with pint of lager. Food was great as well which is always a bonus. The next day I would go back into Czech Republic again. Not prepared to give up on the “plans”. Below the route of the day. To read Part 13 go here. 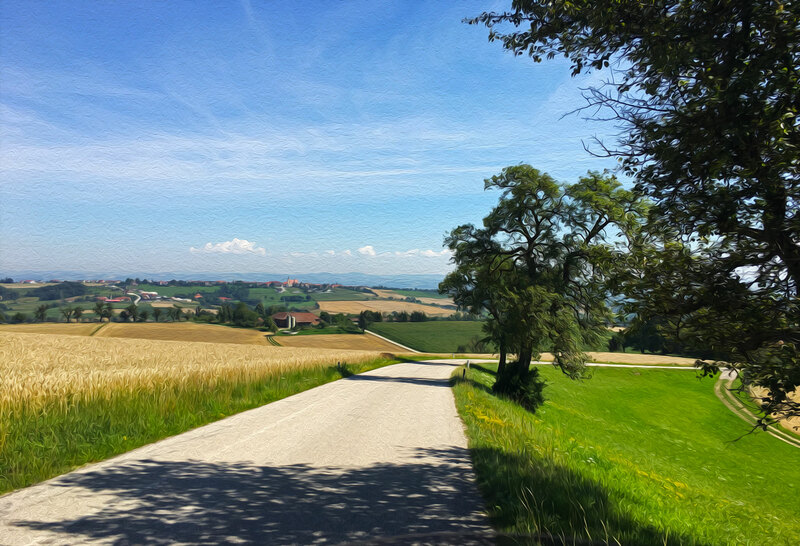 This entry was posted in MC rides, trips & adventures and tagged Adventure, Austria, Czech Republic, MC riding, Sights. Bookmark the permalink.